ERP implementation success is influenced by a large number of factors, which most of the time are difficult to measure objectively. User involvement and participation is one of the most cited critical success factors in ERP implementation projects, and one of the most critical ones for their satisfactory outcome. 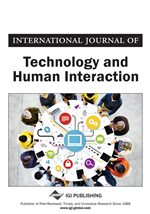 This study attempts to define a set of metrics for monitoring user involvement and participation within ERP implementation projects by using the goals/questions/metrics method. The results of this work are threefold. First, a literature review is presented on the user involvement and participation topic as related to ERP implementation projects. Second, a framework for monitoring user involvement and participation in ERP implementation projects is proposed. And third, a goals/questions/metrics preliminary plan is proposed to monitor and control user involvement and participation within ERP implementation projects.